Houston, TX, February 21, 2018	(Newswire.com) - Atlas API Training announced today the development of two unique additions to their industry acclaimed API online training courses. The development of revolutionary audio flash cards and simulated timed practice exams effectively establish another benchmark level of learning integration in the complex API 510, 570, 580, 653, 1169 and AWS CWI exam training courses that are crucial certifications in the oil, petrochemical, chemical and power industries. Atlas API Training provides a suite of online and onsite API training courses that now include API 510, API 570, API 1169, API 653, API 580 & the AWS CWI (certified welding inspector). According to Hannon Mcleod, president of Atlas, “The development of our audio flash cards and simulated timed practice exams is a major benefit to students who have chosen to earn these career advancing API & CWI certifications. As Atlas API Training students have experienced over the past few years, we are constantly involved in research & development seeking to perfect and expand our online and onsite training courses. 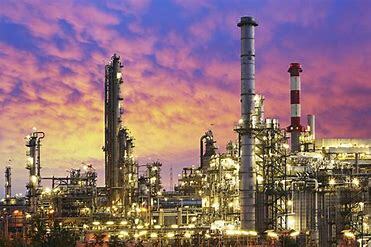 Established in Houston in 2014 by Hannon McLeod and Oran Lewis, Atlas API Training provides online and on-site oil, petrochemical and power industries exam preparation courses for advanced industry certification. Over the past two years Atlas has received multiple requests to expand their offering of advanced API certifications and is now offering API 510, API 570, API 1169, API 653, API 580, Intro to QC and now the AWS CWI Certified Welding Inspector exam training courses to their offering.